Rabbi Yossi Paltiel, noted scholar and lecturer, the Director of "Inside Judaism" and the founder of " InsideChassidus.org" will be joining Chabad of West Hempstead as a visiting guest speaker on a monthly basis starting THIS WEEK! Classes open to all! 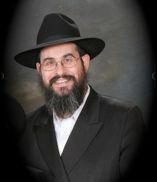 Rabbi Yossi Paltiel, co-founder of Inside Judaism, is a popular teacher and mentor with a gift for communicating his passion for Torah and Judaism. He is one of today's most dynamic and brilliant teachers of Kabbala and Chassidus. His classes weave together classic commentaries, Jewish Law, history and philosophy, personal stories, and a deep knowledge of Chassidus and Kabbala into a whole that's both intellectually challenging and heartwarming. Rabbi Paltiel teaches with an infectious verve and contagious energy bringing boundless excitement to his presentations. He is a much sought after expert on guidance for the Jewish audience seeking direction and growth in Yiddishkeit. A sampling of some of his shiurim can be heard here and elsewhere on his website. The Neshoma: Chassidus' unique focus. The Tale of Two Souls: How is a G-Dly soul relevant in my real day-to-day life? Kabbala vs. Chassidus: How are they similar and where do they differ? Chassidus vs. Chassidim: The realities of life make the ideals of Chassidus quite a struggle. The Tzadik as an ideal Jew: He serves his nation rather then his nation serving him. What can we learn? Chabad Chassidus: The mind/intellect can be, and therefore must be, the key to the soul; An exploration of its strengths and pitfalls. Hisboininus/contemplation: Chabad Chassidus' practical technique. Where do I fit in?